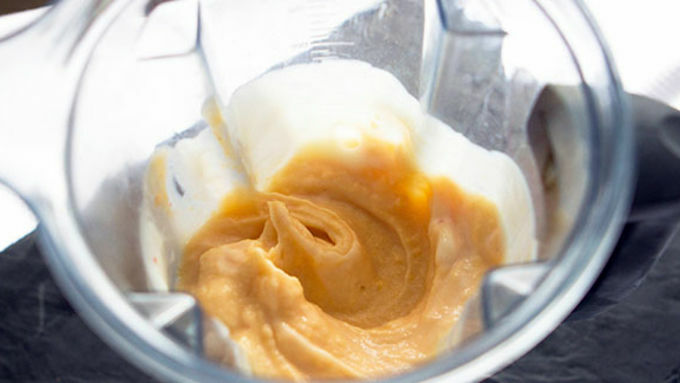 In an industrial-strength blender (like a Vitamix or Blendtec) or a food processor, blend both ingredients just until smooth. 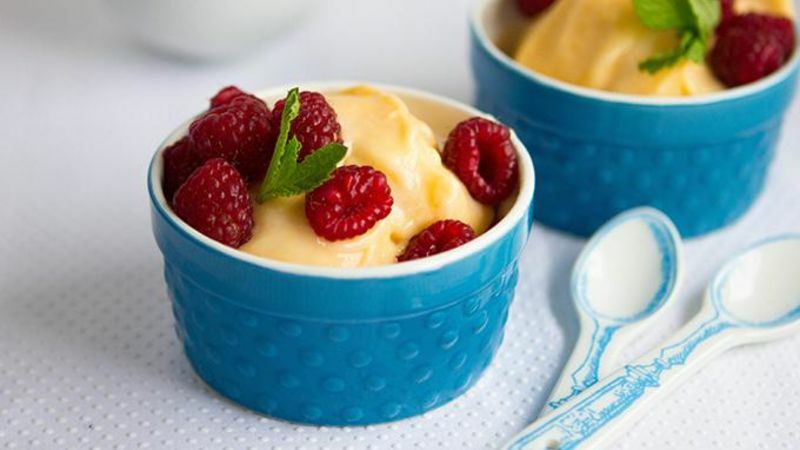 Garnish with raspberries or other fruit, as desired. Just two ingredients and a couple minutes make this good-for-you treat! Everyone should have a few secret recipes tucked inside their kitchen arsenal. You know – recipes that are crazy ridiculous easy. I mean, like so easy and sooo delicious that it’s easier to walk into the kitchen and whip up a nosh that to get in the car and drive your lazy cravings to some fast food joint. Too often, it’s easier to drive places. I mean, by the time you decide what to make, you’re worn out from brain thinking and ready to sacrifice yourself to the drive-thru where choices are made for you. But this recipe. 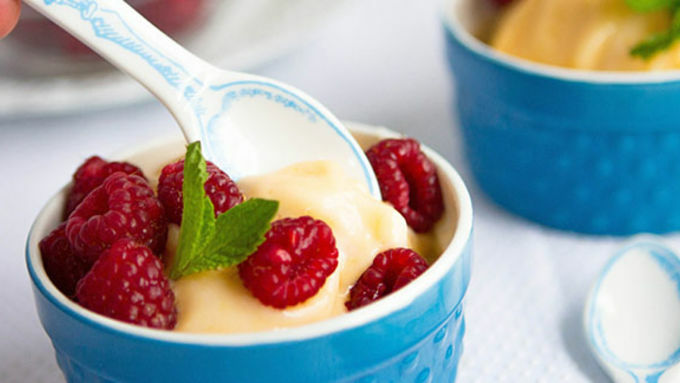 This gorgeous little 2-ingredient, 2-minute prep recipe for frozen peach yogurt will change all that. Because it’s delicious. And it’s easy. And it makes a divine little peach fro yo that’ll have you thinking you just went and paid six bucks for a pretty Styrofoam bowl of it. So, keep all that craving money for a new pair of skinny jeans. Meowza.